This Public Land Survey System, also known as PLSS map, is of the state of Alabama. 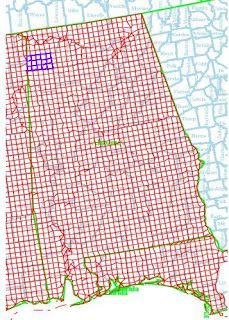 The upper corner is Franklin, AL, highlighted in blue. This type of map is also referred to as the rectangular survey system. This was the first mathematical system of mapping.